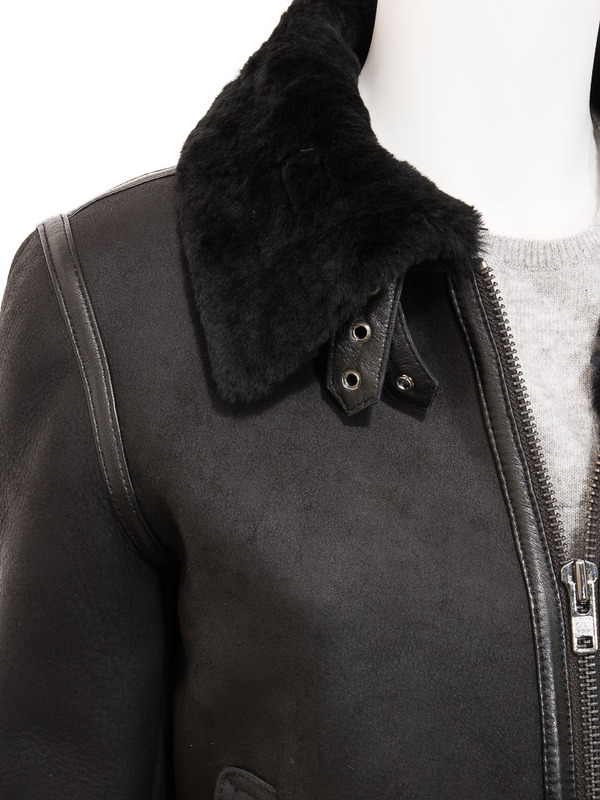 A luxurious black shearling sheepskin bomber jacket. 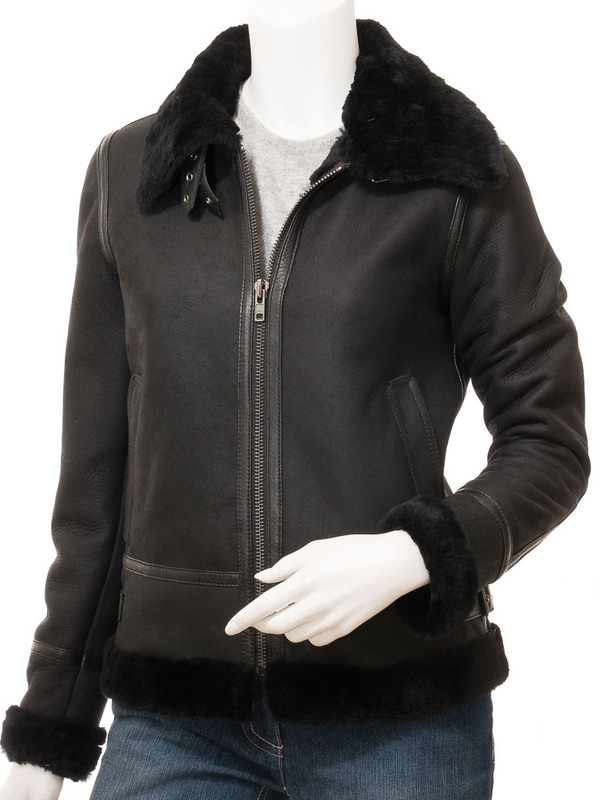 Traditionally this style of jacket is brown with a cream or ginger fleece interior but this blacked out version takes it in a cleaner, more sophisticated direction. 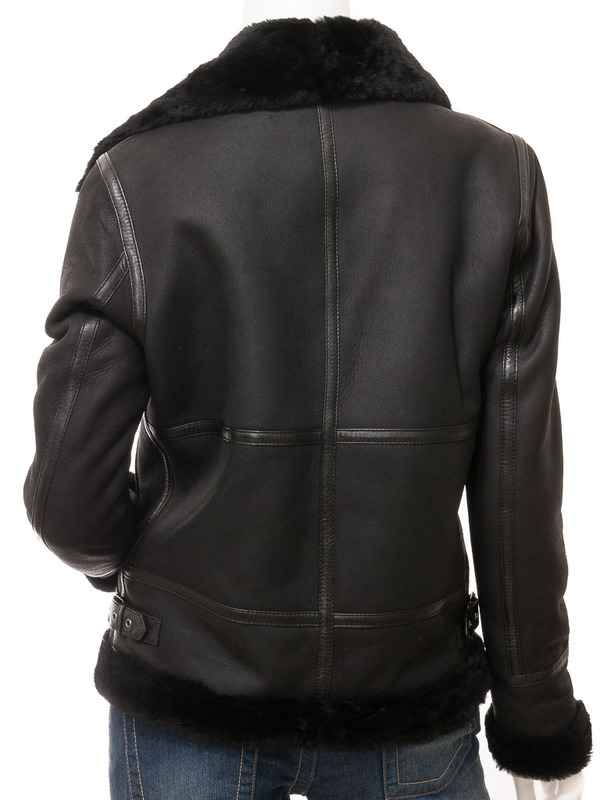 The design elements are timeless though with a sturdy YKK centre zip leading up to a generous shirt style collar that can be folded up and fastened around the throat with two buckled straps. 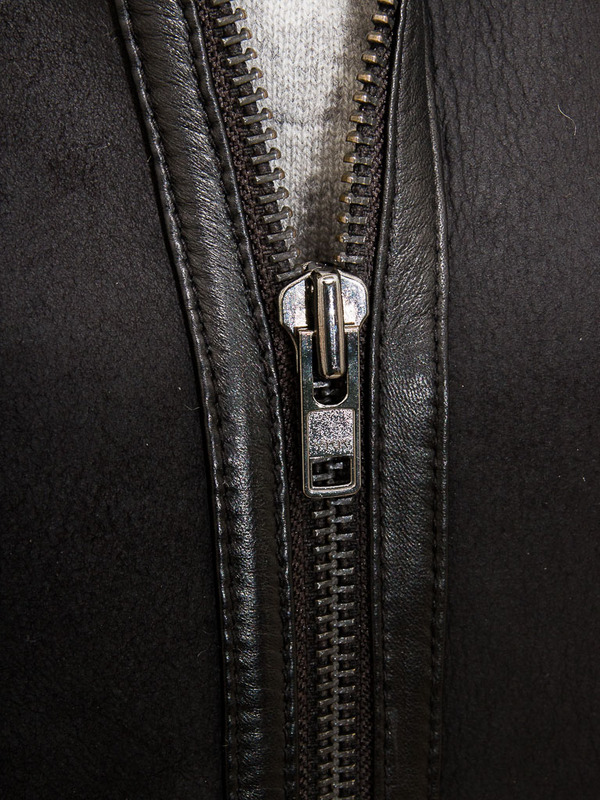 There are two inset pockets at the waist and, near the hem more buckled straps to adjust the fit. 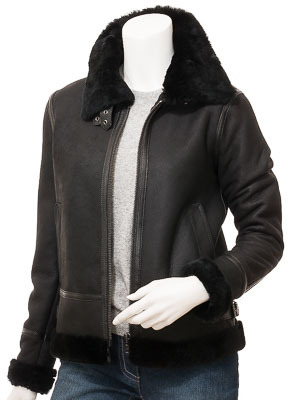 Because this is a genuine sheepskin jacket the whole interior is formed from the silky woollen fleece side of the skin. 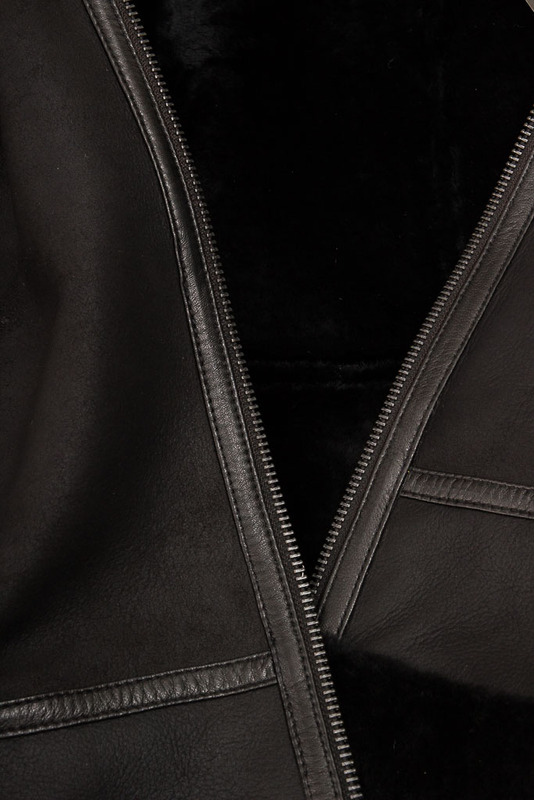 The underside is therefore the weatherproof exterior of the jacket.